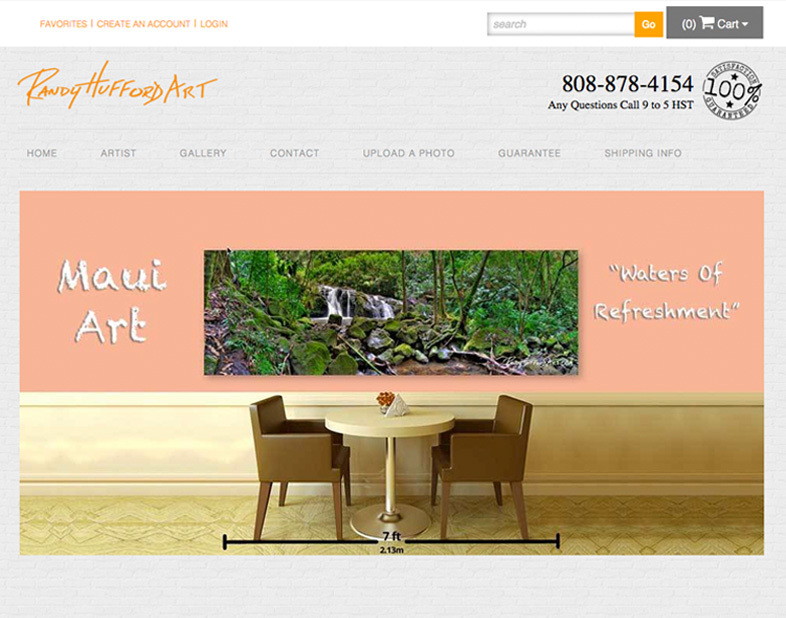 Get a proper art gallery website with a buying experience that will convert the maximum amount of visitors into buyers. Get all the back-office tools you need to run your online gallery business. Get marketing consulting & ongoing support to help you build traffic and sales. 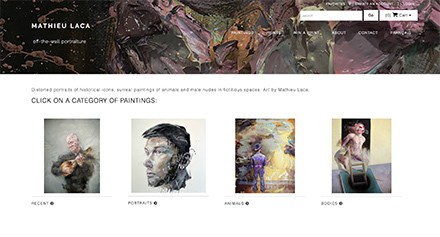 Why Should You Have Your Own Art Gallery, Online? For decades, artists have followed what is called the “traditional” business model for selling art - which is basically doing everything they can to sell through art galleries or publishers, all while hustling at fairs and shows. These artists typically have a portfolio website which serves as their online business card. but to also run your own art gallery, online. 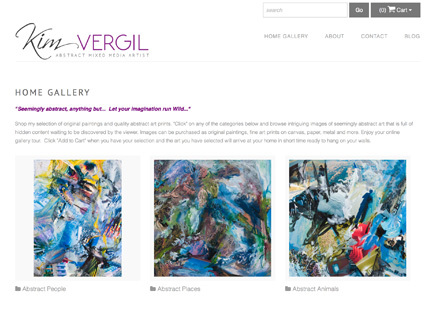 Running your own art gallery online is actually really simple to do, it is inexpensive to launch, and the ongoing costs are extremely low when compared to other businesses. Is this whole "art gallery" concept something you have never heard of before? such as the 5 Cornerstone Features to Sell Art Online. Features matter, because your customer's experience matters. The decision making process of buying art is far more complex when compared to an everyday product. Therefore, the #1 priority of your website must be to make buying as easy as possible. 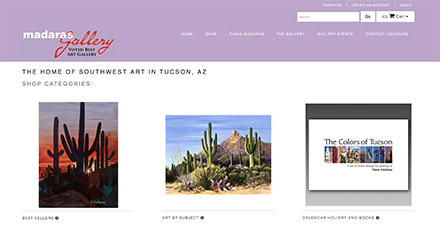 Print-on-Demand, Order Management, Contact Management, and in-depth Art Gallery Sales and Visitor Analytics are just a few examples of the back-office tools we provide behind your proper art gallery website. We show you what to do, when to do it - and how to do it - 365 days a year. We even give you pre-made email templates, subject lines, facebook and instagram templates, and so much more. The best part is, it's all based on what is working for other customers. 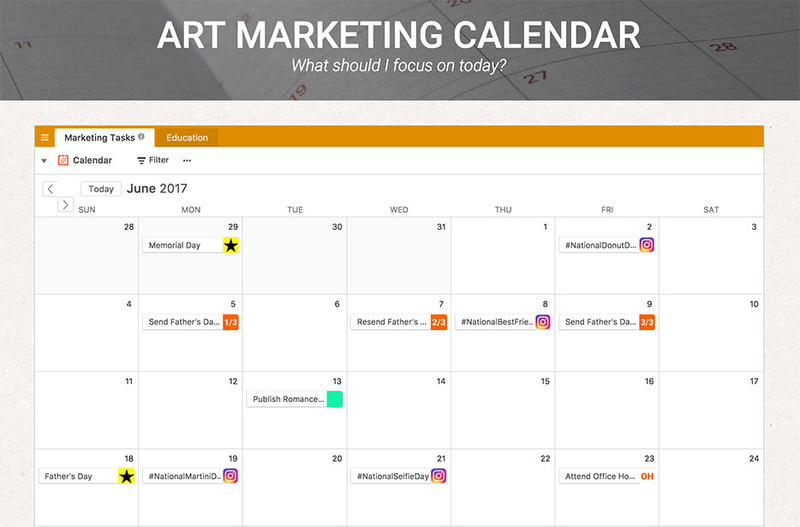 We do this through the Art Marketing Calendar and The Weekly Focus. We have 90+ 5-Star Reviews on Facebook, and over 100 Reviews on this Website - all from artists and photographers currently running their own art galleries online. 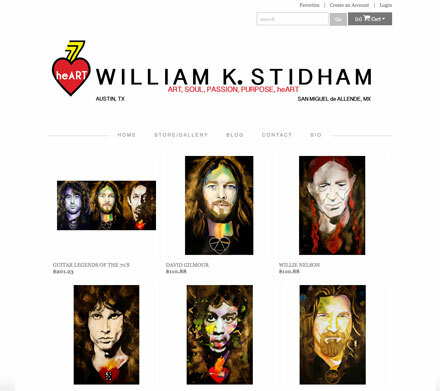 "In the first year of opening my art gallery business online with Art Storefronts, I earned a 1700% return on my investment. The marketing coaching is great. Customers rave about the whole buying experience. I totally believe in what you are doing for artists." "Joining this Art supported platform has been the absolute best decision I have made in my Entrepreneur Art Career. I have sold more paintings this year than ever before. I am super excited about being part of Art Storefronts and cannot stress enough how this is a complete game changer for me and my career at this point." "I switched over to these guys several years ago just in time to hit the Christmas rush. It was a good decision. I had a record Christmas. I am a believer and endorser of their product. If you have any questions from an artist's standpoint, don't hesitate to reach out." "When it comes to selling fine art online, you can only compete if you have a storefront that represents your brand in the best light. That's why I decided to go with Art Storefronts. Building the site was fast and easy, and the support and guidance is second to none." 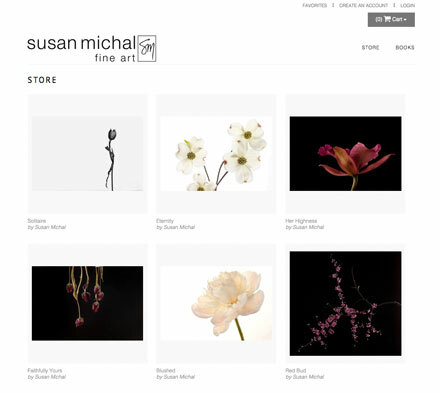 "When I moved my art gallery website to Art Storefronts, my sales immediately increased. I have been with the company for several years am very impressed by the reliability as well as the affordability." "Art Storefronts provides the critical art-selling features, as well as the marketing education that professional artists and photographers need to sell their art online and build a sustainable business." We can only be successful when our customers are successful. It's why we do everything we can to make this happen. Chat Support, Phone Support, Customer Success Calls are all included. We believe that longstanding "industry norms” like restricting customer information from artists and taking 50%+ of an art sale are part of a broken system that enriches middle-men and leaves little for the artist. The art industry is broken and it is time for change. Want to Learn More About How We Can Help You Specifically? We'll take you for a quick tour. We'll show you how we can help you get more traffic/collectors. Or, Are You Still Just Learning? No problem! We have some amazing resources that should help you get some sales going.